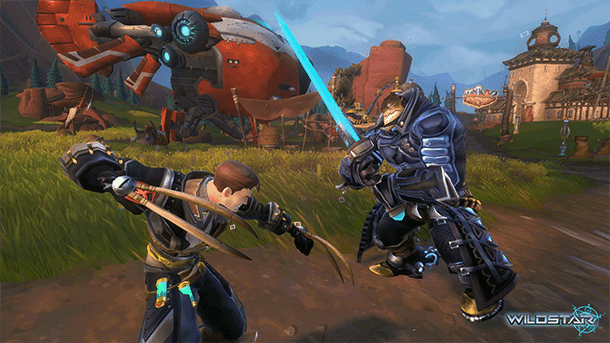 The upcoming sci-fi MMORPG, Wildstar, has completed its first closed beta phase and is now beginning its second run. Carbine Studios will be focusing on the Dominion faction in the new closed beta. The second phase brings along with it a slew of new dungeons, zones, and battlegrounds. The update also delivers highly anticipated content, along with some of the higher level experiences that testers can now reach. A new level 20 dungeon will definitely keep players busy, but it?s the battlegrounds that will be talked about in this beta. Players will immediately be able to partake in 10v10 PvP matches. Frequent battles will help test run the MMO?s major redesigning of class attributes and milestones. Don?t expect something similar to what you heard in Wildstar?s first testing phase though. Exiles will sadly not be available due to the heavy focus on different factions. Carbine has already begun sending out invitations for the new closed beta. European players will be mostly excited due to the event finally not being region locked. Now players worldwide will be helping to make Wildstar the best it can be for it?s full 2013 release.